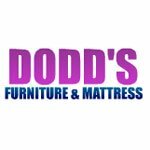 Dodd's Furniture & Mattress is 100% locally owned and operated. We have been serving Victoria and the Island since 1977. Want to know more about us? Visit our website at www.doddsfurniture.com.